Several adobes in Santa Barbara have been associated with the Cordero family. Information on some is scant, while information on others, like the Las Cruces Adobe, is plentiful. The following list is derived from published sources and from the work of local historian John C. Woodward. "The date of its construction is not known, and there seem to be no significant historical facts connected with it. Report has it that the house may have been built as early as 1828 by Refugio Cordero. Others state that it was built in 1850 by Jose Cordero. One of its occupants, Senorita Cordero married a Wilson and lived there for many years. At first, the house was one large adobe room. Later, it was divided into two rooms as by a wood partition. A wood-frame lean-to was added. In 1940 it stood in dilapidated condition, serving for scarcely more than a tin-can dump for the neighborhood. The wood-siding that encased the adobe portion through the years has done much to preserve it. 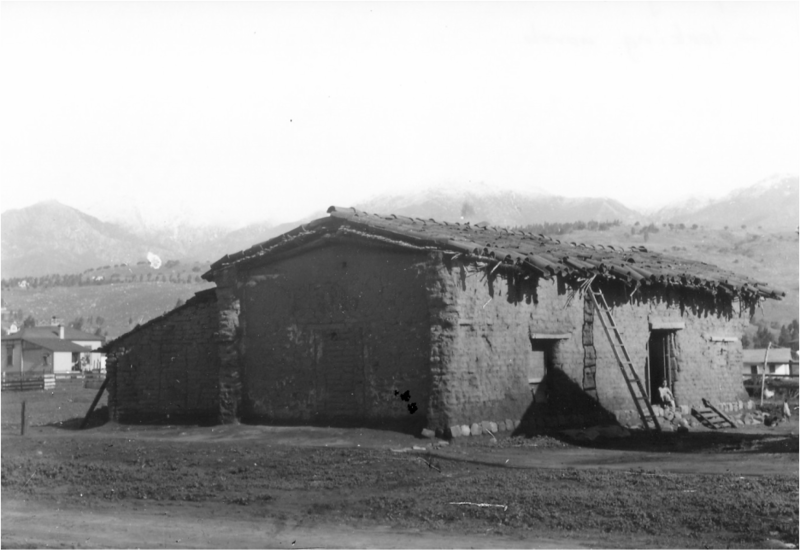 "The Cordero Adobe No. 1 came again into its own through its sympathetic restoration by Mrs. Lyla Harcoff. 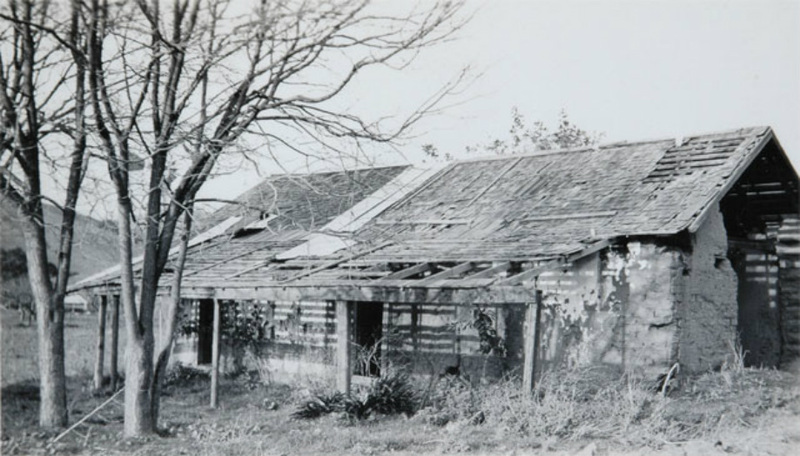 In spite of discouraging advice she purchased the place during World War II, removed the center partition and the dilapidated, termite-eaten lean-to and added a hall, modern bath and kitchen. Mrs. Harcoff has made a charming cottage of the old adobe, having restored it in the spirit of the early days of Santa Barbara. "Mr. and Mrs. Floyd M. Nalley acquired the property in 1946 and have landscaped it most effectively, using grape-stake fences for privacy, and incorporating a barbecue, and sun terrace flanked by a rock wall. They call the place "Casa de Cuatro Puerta", or the house of four doors. From Santa Barbara Adobes by Clarence Cullimore. Bakersfield, CA: Santa Barbara Book Publishing Company, 1948. From “The Old Adobe Buildings of Santa Barbara ” written by Christine Savage Palmer. Santa Barbara Genealogical Society Vol. 28, Nos. 1 and 2, Fall 2001/Winter 2002. See "A History of the Las Cruces Adobe" by Barry N. Zarakov.